We all have been eagerly waiting for Xbox 2 and now the relief is that at least now we have an idea about the Xbox 2, which is being speculated to be around later this year in November 2017. We still are unaware as to whether American multinational technology company Microsoft would hold a pre-E3 show to announce Scorpio or not, which is similar to what Sony did with the PS4 Pro. The head of Xbox, Phil Spencer has already stated that gaming console Xbox 2 promised to be most powerful console ever built. He made this announcement at the end of E3 2016. With more and more details of the gaming console is slowly getting revealed, his statements are turning out to be true, although nothing can be officially confirmed as of now. 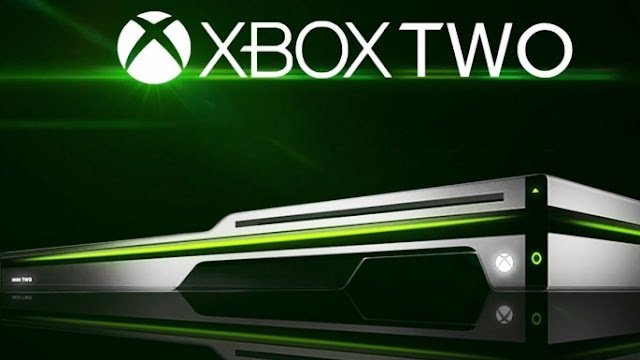 In a blog post, Spencer has stated that they would do the complete launch of Xbox 2 at E3 2017, which means on June 11, Sunday at 2PM PDT/5PM EDT, the specifications on the Xbox 2 will finally be known. Created and is owned by Microsoft, Xbox is a video game brand. It refers to a number of gaming consoles created by them. It was released in the year 2001 in the USA. Details of the latest console, Xbox One S, a slimmer version of Xbox one, was announced last year in June, 2016. In a post PS4 Pro world, it is very tough to answer whether it is a next generation console or something just iterative similar to the Pro, which Sony has vehemently made it clear is not the PS5. The Xbox 2 (Project Scorpio) would sport native 4K and hi-fidelity VR. This is something which just a very efficient PC can offer. Microsoft’s Aaron Greenberg has said that his company is working to learn from the feedbacks of Project Scorpio and if it turns out to be a success, the future of consoles will be completely evolved. Moreover, leaving aside VR titles, Scorpio is not planning on having any unique games. This means that the new games will also work on your older system. All of the aforementioned points really make it very hard to say whether Project Scorpio is in fact Xbox 2 or not. Microsoft has been referring to the trio of consoles of Xbox One, Xbox One S and Xbox 2/Project Scorpio as Xbox Family. Therefore, it means that no gamer will be left behind. In other words, one can play it one any of the console within that family. Playing games on Project Scorpio allows users to play them in 4K and also with upcoming graphical upgrades that we see on PS4 Pro. As per industry reports in January 2017, the console’s specifications and how developers can take advantage of it were revealed to us. One of the most interesting elements to look forward to in Xbox 2 is the inclusion of VR solution. On the other end of the spectrum, Xbox 360 will multiply the lifespan to almost two times of its previous editions by the time it is ultimately phases out. The American multinational technology company is trying its level best to make the games as compatible as possible across various systems.